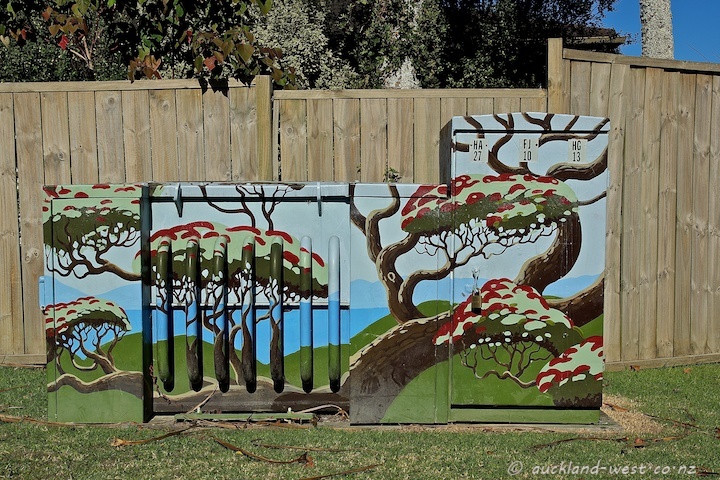 This transformer (with a fridge-like extension on the right) evokes the shapes and colours of the pohutukawa trees which are now blossoming (they are called “New Zealand Christmas Tree” for a reason). Painted by Monique Endt. Situated in Oriel Avenue, Massey East.